Only 18, Doru Celina dropped out of school because of a domestic workload that left her with little time to study. Doru, who lives in Kajo Keji, Southern Sudan (now known as South Sudan since gaining independence in 2011), would help her mother sell condiments door-to-door or at the market. She also cooked and did the laundry for her siblings and cousins and collected firewood from the fields. Her house has no electricity and only one lamp, so she often had to go to a friend’s house to study. 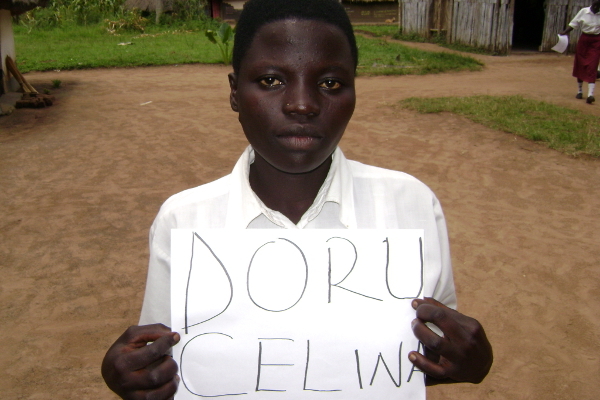 Her older sister dropped out of school, and when Doru followed suit after her first year of secondary school, her chances of returning appeared slim. In 2008, however, Doru received much-needed support in the form of a USAID-funded scholarship from the Gender Equity through Education (GEE) program, implemented by Winrock International, allowing her to return to school. GEE provides assistance to vulnerable South Sudanese students and the secondary schools they attend. Scholarships cover a portion of school fees and allow for the purchase of school supplies. Additionally, small improvement grants provide schools with an opportunity to make basic repairs to educational facilities and improve the overall quality of the learning environment.